Belmont Land Rover Service and Repair - 5 Star Auto Service Inc.
$36.75 Land Rover Smog Check! 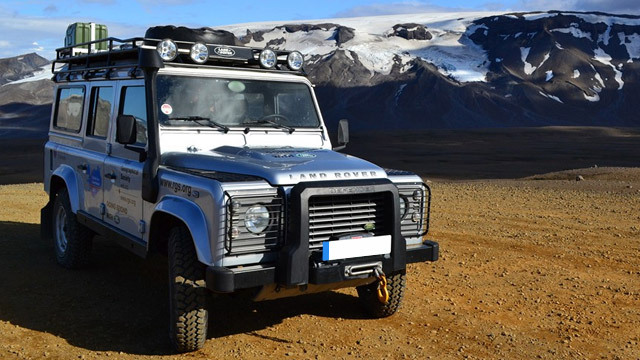 When Land Rover owners need auto repair, they turn to the team of auto mechanics at 5 Star Auto Service. We strive to grow and improve every day so you can experience exceptional customer service. If you believe there is something amiss with your Land Rover, bring your car to 5 Star Auto Service. Our technicians are here to help. At 5 Star Auto Service, our auto repair shop is equipped with the latest and greatest tools and technology, including factory scan tools for your Land Rover. When you combine our expertise in auto repair with our transparent and personable approach to customer service, we think you will find our auto repair shop unlike any other in the Belmont region and even beyond. Because we are confident in the quality and reliability of our Land Rover service, we offer a warranty. “On a rainy morning, driving a car I shouldn't be driving, unable to find the address of the shop I had an appointment with, Ned made room in his schedule to take my car. He was the first out of 5 shops who didn't tell me my car needed a new transmission. He replaced the filter, changed the oil, That same day, my son's car wouldn't start. The car was towed to his garage and instead of telling us we needed a new starter (like the tow driver thought), he fixed the issue by replacing a burnt wire. About a $300 price difference. I'm happy I don't have to drive all the way to San Francisco to my former mechanic, we just found our local shop!” -- Veronica B. For an auto repair shop that is the embodiment of the American Dream, hard work and determination, turn to 5 Star Auto Service. Bring your Land Rover to our auto mechanics, and we will go that extra mile to properly service and repair your car, even performing a safety check and offering you shuttle service within the vicinity of Belmont. Schedule an appointment online, or stop by our shop at 1444 El Camino Real, Belmont, CA 94002.